visit falling rock national park! 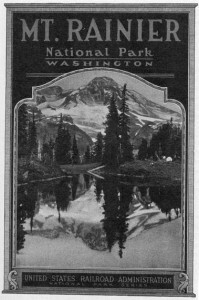 Inspired by those old WPA posters for National Parks. 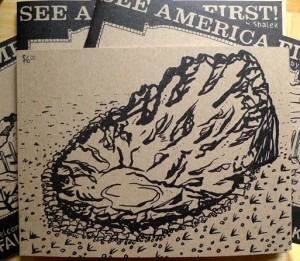 These, like the mountain drawings from yesterday, are done in Prismacolor marker. They’re outlined with various black pens. I think I’d like to make them even more in that old style. These were pretty fun to imagine, though. Call you local travel agent and try to book a flight to Falling Rock National Park today! 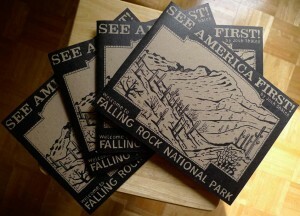 A NEW FALLING ROCK NATIONAL PARK BOOK!!!!!!!!! 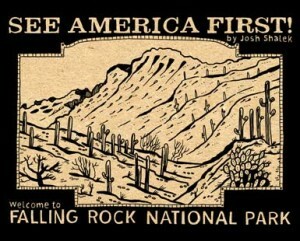 I just sent in all the files to the printer for Falling Rock Book 4, now titled: SEE AMERICA FIRST! 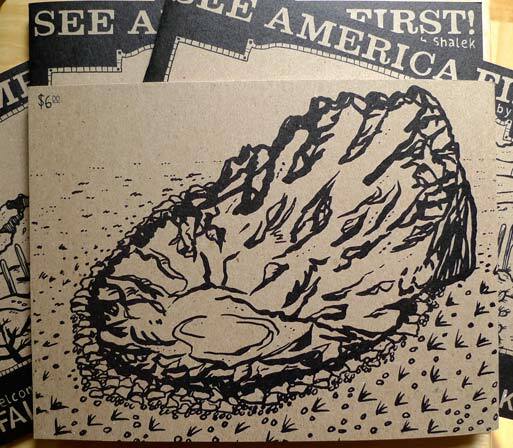 It will feature a super deluxe chipboard cover and a collection of 64 Falling Rock comics from the past year. Pinball Press will again be the printer, and, like last year, See America First! will feature all recycled paper and soy-based ink. 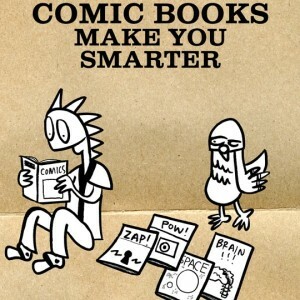 You can simultaneously enjoy your comics AND save the planet. Now is the time to purchase the first three Falling Rock books so you can catch up. I will post a new purchase link as soon as I have See America First! in my hands. why should you See America First? Behold, the cover to the fourth Falling Rock book collection. But why is it called See America First! ? Actually, like most of my best ideas, I stole this one from the railroads. 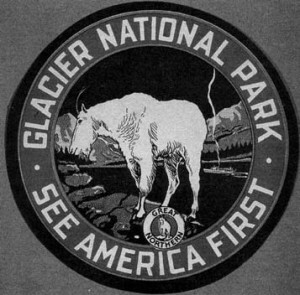 See America First was an advertising campaign begun in 1906 by the Great Northern Railway, an effort to lure well-heeled Easterners to the new(ish) national parks in Montana, Wyoming, Oregon, and California. Previously they had been spending their riches all the way across the Atlantic Ocean, vacationing in lush Switzerland and Poland, among other European countries. The ads were incredibly successful; thousands of people purchased train tickets West instead of plane tickets to Europe. The national parks achieved a much-needed attendance boost and the railroads saw a tidy profit. Everybody was a winner. Today, a little more than a hundred years later, Falling Rock National Park needs a similar influx of visitors. 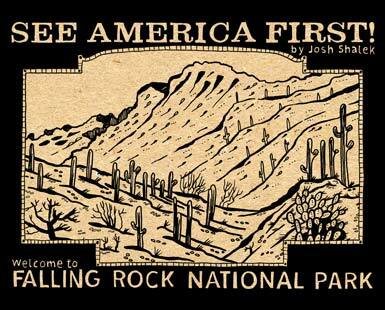 Since you can only visit Falling Rock by reading the comic strip, I suggest you purchase a copy of See America First! 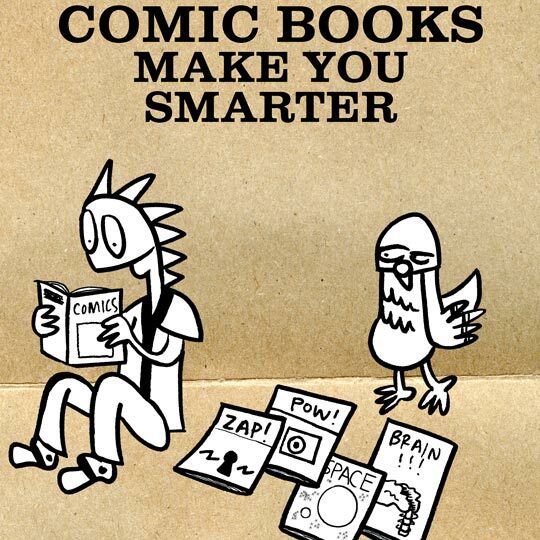 online or in one of the comic book shops that carry my fine publications. See America First! will be available very soon; expect an announcement regarding availability in the coming week. See Carver and Ernesto break into the Park Visitor Center! See how Falling Rock National Park got it’s name! See a road trip to the ocean! See Chuck Close, an aviator butterfly, the oldest squirrel in the park, Mr. Miserable, a dirty hippie, and more visitors to the park! Falling Rock book four has arrived and you can order it here. A shoutout to the first shops to carry See America First! 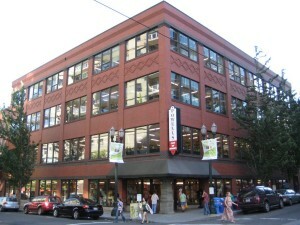 In Portland, Powells City of Books (pictured), Floating World Comics, Reading Frenzy, Cosmic Monkey Comics, and Guapo Comics and Coffee. Whew! Proof that the Portland comics scene is alive and kicking. Coming soon to Chicago and Tucson. And as always, it ships worldwide if you order from my website. Thank you if you’ve already ordered a copy of See America First! or my other Falling Rock book collections. I’ll be at Stumptown Comics Fest this April 24th and 25th, so if you’re in Portland that weekend you can pick up your copy in person. 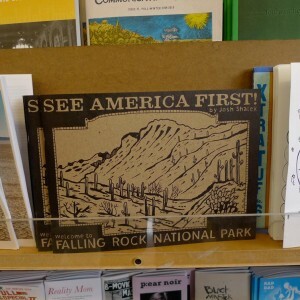 I want you to know how much it means to me that my comic strip, Welcome to Falling Rock National Park, has steadily gained popularity over the past four years. Same goes for this here blog. I never thought more than two people would read what I put here, but in fact lots do. What I need now is income to continue the good work that goes on here. I’m not asking for charity. All I’m asking is that you buy See America First! or one of my other fine Falling Rock book collections from my website. It’s easy, secure, and fun (to read). For the extraordinary price of $8 – much less than that IKEA couch you’ve been lusting after – you get some funny comics and a promise of more to come. A fairer deal I cannot imagine. Make sure to buy my book, See America First! 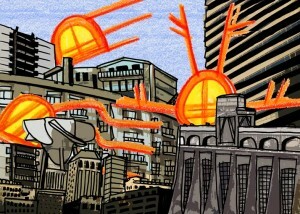 City robots again this week. Buildings in this montage hail from Portland and the Bonneville Dam. This week’s and last week’s robots have been among the more complex drawings I’ve done for Friday Robots. 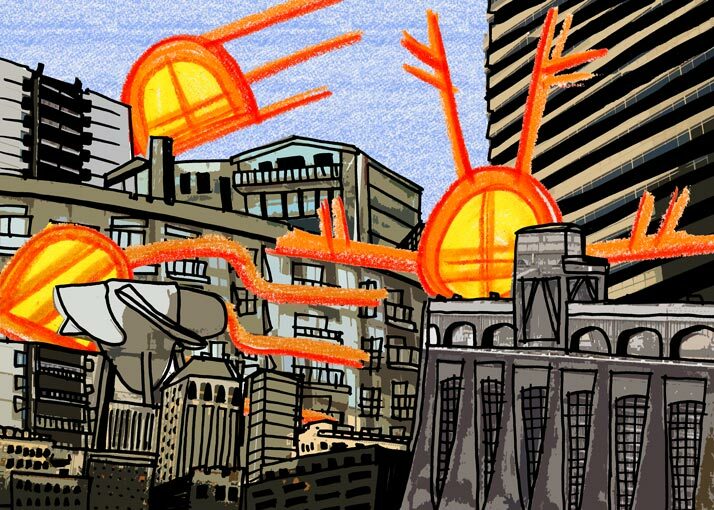 I draw the robots, then scan them in to Photoshop. I collage a cityscape in Photoshop using photos I’ve taken over the years, then print it out in two segments (foreground and background). Then I trace the buildings on tracing paper, then scan in the traced outlines. I use the Cutout tool (one of my favorite filters) on the building photo montage to remove some of the more distracting details. For this drawing I also scanned in a sky of blue Prismacolor pencil. Each element – the photos of the buildings, the robots, the drawn outlines of the buildings, and the blue “sky” – is in its own layer in Photoshop. Actually, there are two layers for the buildings and traced building outlines because there is a foreground and background. I move everything around until it looks pleasant, then save a small file for the web. Voila, Friday Robots. I’m probably making this more complicated than it has to be, but I don’t know what I’m going for until I’m already partway done with the drawing. If I ever have to do this again, it will be a breeze. 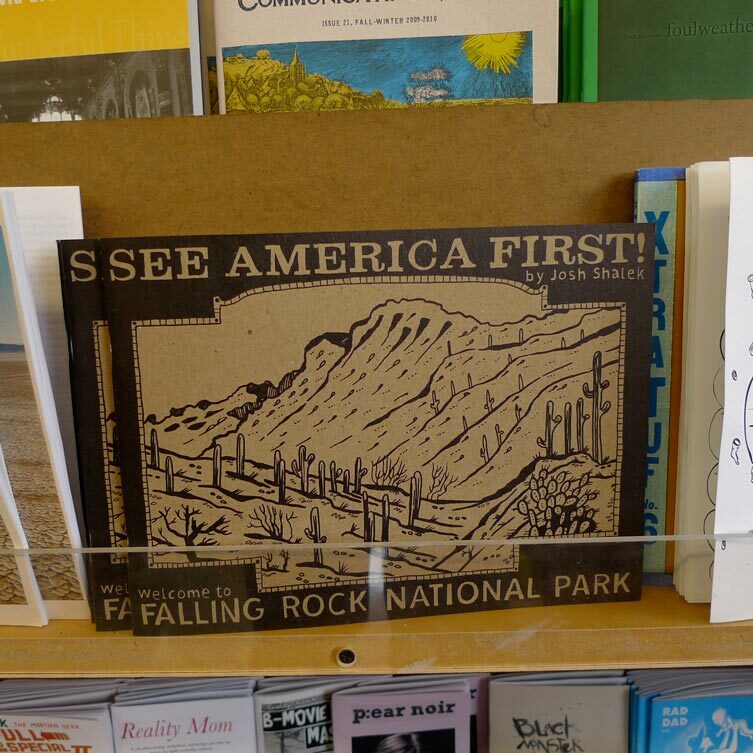 You can now order See America First online or in person from Powells City of Books! The first review of See America First! 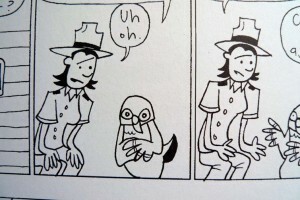 has been published, by no less than the venerable AV Club: COMICS PANEL April 23, 2010 (scroll down to find it). This is my second Chicago connection in a matter of weeks; my stock in the Windy City is apparently on the rise. 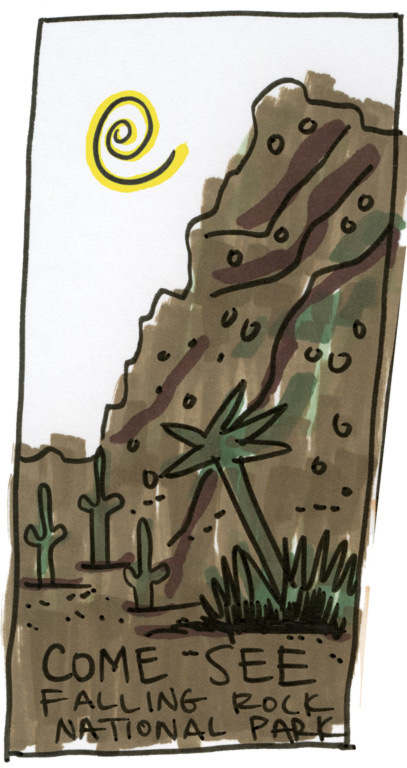 A full recap of Stumptown Comics Fest is on the way! Stay tuned. Today is the end of the fourth year of Welcome to Falling Rock National Park. It’s been a great year! 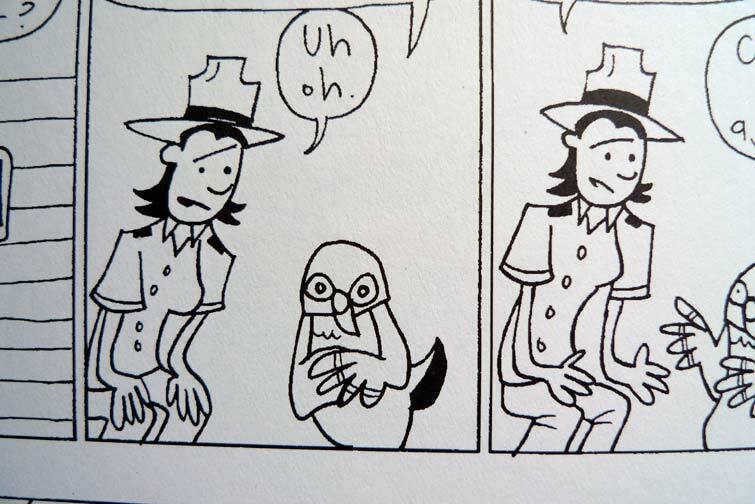 Carver, Ernesto, Pam, Melissa, and Park Ranger Dee will return in August will all new adventures. Fear not, subscribers. I will be posting on this blog all summer long. Friday Robots, witty tangents, subtle digs at Michael Bay, and loving tributes to whatever cereal I’m eating at the time will continue unabated. 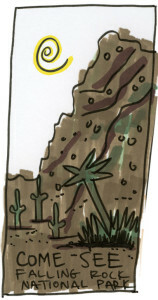 Just because Falling Rock is on hiatus for the summer doesn’t mean you can’t enjoy that sweet, sun-blasted goodness. Just pick up one of my books! 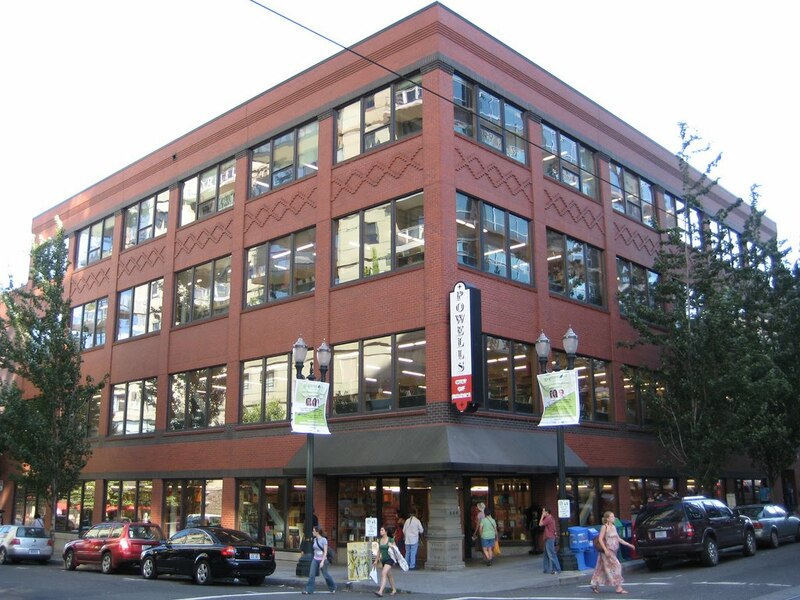 Either online or at Powells City of Books. I know you’ll like them.